I first discovered the American Writers Museum a year ago, when it received a write-up in the New York Times on the occasion of its opening. I clicked through to the article with a general curiosity about about this new space dedicated to the written word; I gave no thought to the actual location of the thing. Imagine my surprise when I discovered that the story was a dispatch from right here in Chicago, the new museum located in the heart of downtown! Fast-forward a year, and I still hadn’t carved out time to visit, and I’m not entirely sure why. Life and work and just not putting it at the top of my To Do list, I suppose. I even went online and bought a ticket…in January. Finally, just this week, I found myself working from a Starbucks literally across the street from the museum (located on the second floor of the high-rise on the corner of Michigan Avenue and Lake Street); I had a couple of hours before a screening that evening, so I packed up my laptop and walked over. According to their website, the concept for the American Writers Museum—the only one of its kind in the country—dates back to 2009; in 2010, Mayor Daley pitched the organization on locating in Chicago. Just seven short years later, the museum opened its doors on the Magnificent Mile. 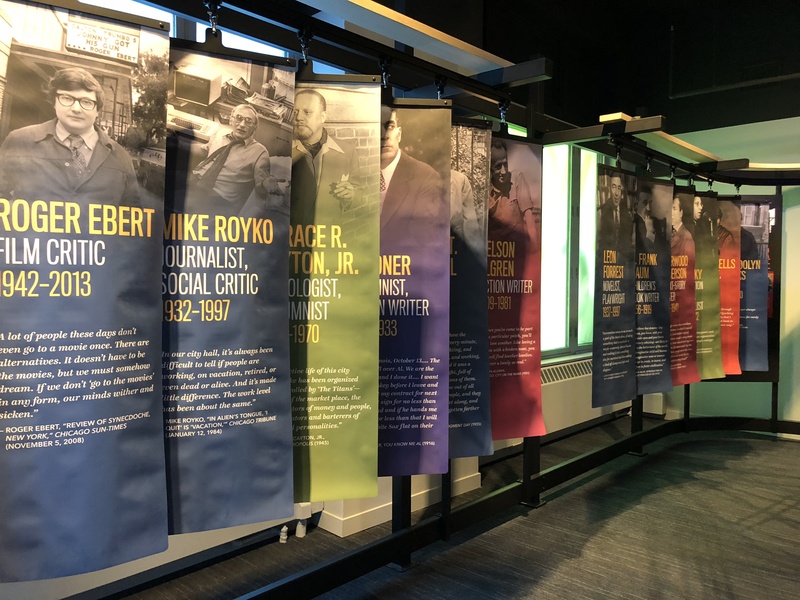 It’s clear from the moment you step off the elevator that organizers took advantage of that time to build out a thoughtful, robust display of the history of literature and the written word in America. What it lacks in square footage (the whole thing could fit inside a gallery or two at the Art Institute), it more than makes up for in information and interactivity. Museum staff greeted me warmly and invited me to take in the exhibits in the loop around the space; all told, it took me just about an hour and a half, but if one tried to read and do everything, I imagine it’d take half a day! These two themes—diversity and interactivity—carried me through every section of the museum as I wound my way through the various rooms. Anyone who visits will feel represented and seen: young, old, black, white, man, woman or otherwise. There’s even a children’s literature room where fanciful creations from Dr. Suess, L. Frank Baum, Maurice Sendak and more are celebrated. Things to touch and open and move abound, most of all touchscreen monitors. A partnership with Good Reads encourages you to select your top five books for a customized digital bookmark; a “routine” grid has you choose your preferred breakfast, companion, and writing habits to see which author you’re most like (guess who you get if you choose six-toed cats as a companion?). What could be a stale subject (“Here are writers. Here is what they wrote.”) is instead brought to life in clever, inviting displays that feel fresh and modern. There’s a gallery featuring personal, evocative photographs by Art Shay of writers like Gwendolyn Brooks, Ernest Hemingway and James Baldwin; the portrait of Nelson Algren and Simone de Beauvoir in Chicago caught my eye. A table at the end of Readers Hall (for what is writing without readers, dear reader?) is set with half a dozen vintage typewriters and blank paper. Called “The Mind of the Writer,” you’re invited to be the author, to start a story and leave it for someone else to finish, or plunk out a thought or observation and display it on a nearby wall. 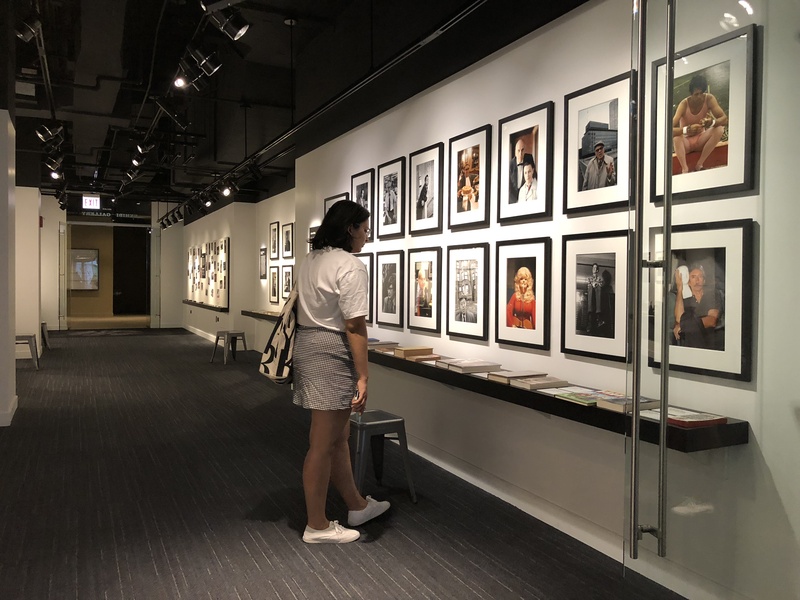 There’s plenty to learn at the museum, and though certainly some of it you’ll have already know from your American Lit class in high school, the depth and detail in each exhibit is such that there’s no way you walk out without learning something new. For me, it was a realization that hit me like a Mac truck as I walked through “Frederick Douglass: Agitator,” a small but mighty chronicle of the prolific author and activist’s life and writings. There in the corner is a recreation of a pamphlet Douglass wrote on the occasion of the 1893 World’s Fair: The Reason Why The Colored American is not in the World’s Columbian Exhibition. Sure enough, this monumental event in Chicago’s history, this global occasion that heralded the rebirth of a city that had burned down just a couple decades before, was—like everything else of the era, I suppose—a segregated affair. Not exactly a proud moment, Chicago. Chicago is a city of museums, and if it’s been a while since you’ve explored the Field Museum or any of the other stalwarts, get out there and do it. 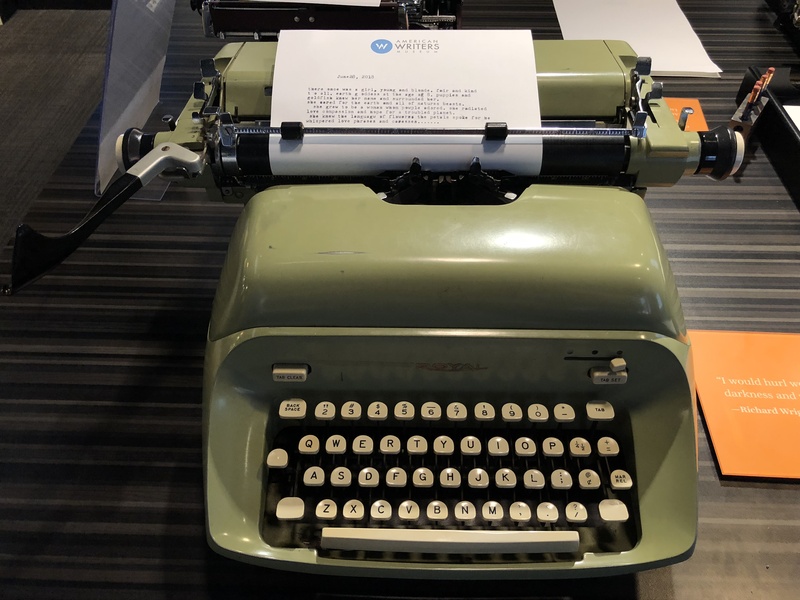 When you’re ready to dig a little deeper (and particularly if you’ve ever read a book in your life), make your way to the American Writers Museum. Admission is just $12, though if that’s too steep (really? ), there’s a Groupon deal that makes tickets just $8. They were kind enough to pick the Windy City as they’re home; let’s return the favor by visiting this gem (and telling all your friends to, as well). Dang, Chicago’s writing roots run deep.